and true relaxation at home! With the growing popularity of electric massage chairs, creating a relaxing environment in the comfort of home is possible, and economical too. Before buying, do your homework and to help decide which brand to purchase, features, what to pay, and which have highest consumer ratings. 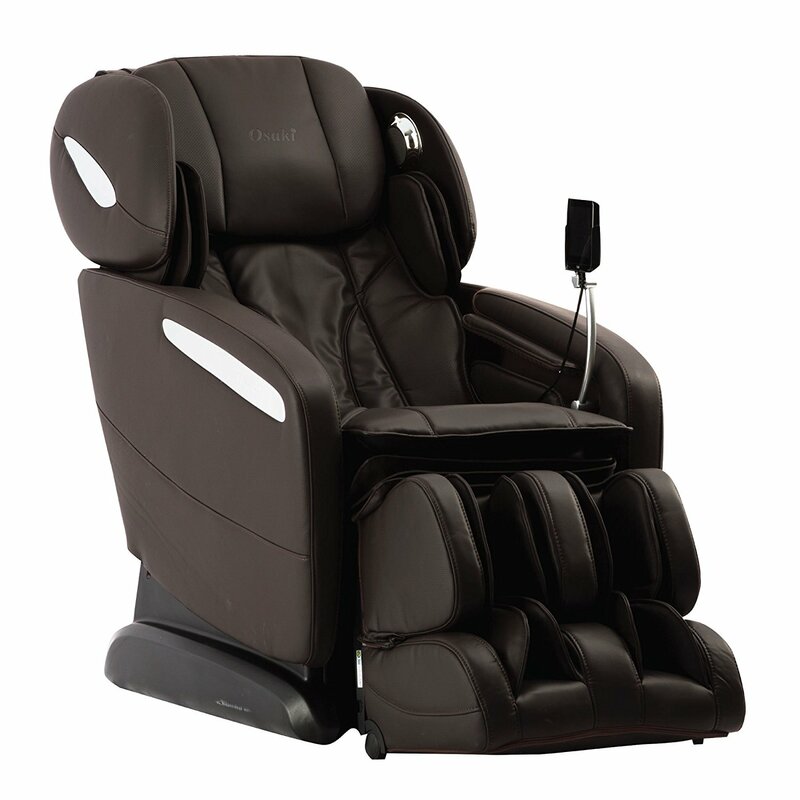 Massage recliners can range from $600-$7000, depending on brand, model and features. An average price is around $3500 - $4000. The technology of this massage chair provides a complete body scan from neck, to back, to gluteals, to hamstrings. and can identify Shiatsu points, which differ between people. In other words, it can actually scan your back to provide you with a totally customized massage experience. If you can't get to a massage therapist on a regular basis or don't have one near you, massage recliners are a great alternative to traditional hands-on therapy, although nothing can compare to the kind, caring touch of human hands. This is our #1 choice of best electric massage chairs based on consumer ratings, quality, comfort, features, and overall durability. 1. This massage therapy chair is rated 5 out of 5 by consumers.This is one of the first things we look for when we rate products. 2. Best Feature - The Osaki chair has the broadest body massage coverage available with Zer Gravity. 3. Best in Comfort/Relaxation - It cradles your whole body in soothing shiatsu and brings relief to tired muscles. Osaki OS Pro technology provides a gentle, figure-8 motion that mimics how a massage therapist balances the body during a massage session. 4. Overall Durability and Body Coverage -Less likely to have major mechanical or repair problems. It also offers extension and flexion abilities, as well as gentle rotational stretching of the shoulders, mid-back and hips. This chair also has the ability to provide a youth session with a more gentle massage, specially designed for younger users (14+). Leather upholstery is nice for durability and easy cleaning. Also, most are available in different colors to match your existing furniture. Read more reviews of this chair here. There are other products that can help you relax and unwind at home too. Overall....the best choice for anyone who wants to purchase a quality electric massage chair to relax in the comfort of home!